I liked the way the lipstick crayon went on but did not like the color at all. It says blush but it's more of a light brown and just does not look good. I expected blush to be slightly pink. Good lip crayon but bad colour? I really like how creamy and comfortable the lipstick feels on my lips, and it’s definitely one of the more long wearing lip crayons I’ve tried, with a weartime of upto five hours. The only downside for me would be the packaging as the crayon is made from plastic and doesn’t wind up and down , so it requires a large sharpener which does create quite a lot of waste. Overall, I would really recommend trying these lipsticks out.. I am so impressed. Great colour, I'm black of a brown skin tone & this compliments my colour beautifully adds a great extra kick to my day to day in the day or at night with a good lip liner. Got this in feb 16 box. Colour is right up my street. Lips feel moisturised. Would defo purchase this again in the future. The bestest most softest lip liner I've even owned. The colour is perfect on my lips and the colour is shown perfectly. It's a must buy lipliner!! This pencil is easy to use and it lasts rather well through the day. I gave one star short only because I think once the lipstick starts to wear off it feels and looks rather dry on lips, something I've fixed with clear lip gloss or new layers of this one. I bought Vintage Pink and it was nice earthy color, which was easy to wear light and natural or deepen the color with multiple layers. Something I'll be carrying daily in my purse from now on! I received this product in a free gift bag and i LOVE it. I would never have bought it on my own, but I will differently do it now. It's just so creamy and long lasting. The color (blush) is very discreet, but gives that tiny look of bright lovely lips. I received several compliments when i wear it. It's very easy to use, and it doesn't smudge... Just in love with this! I already owned one of these pencils in 'Kiss' and I absolutely love it so I decided to try out one of the other shades. I chose 'Plum' and it is just gorgeous! 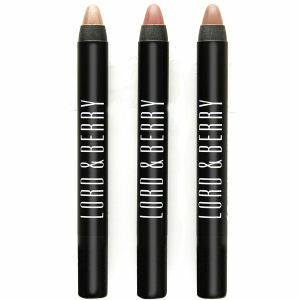 The pencil is easy to apply, comfortable on your lips and lasts quite well throughout the day. Both shades that I own are vivid and striking so I would recommend these lipstick pencils for adding a bit of a 'wow' factor to your look.